Synopsis: On the rocky path to sobriety after a life-changing accident, John Callahan discovers the healing power of art, willing his injured hands into drawing hilarious, often controversial cartoons, which bring him a new lease on life. As a filmmaker, writer/director Gus Van Sant has had his ups and downs. He’s soared to heights with Elephant and Good Will Hunting, then scraped the bottom with Restless and Psycho (the most pointless remake ever produced, in this reviewer’s opinion). For as inconsistent as the quality of his output has been, his production assembly line has been very consistent; for better or worse, he churns out a movie every few years. This year’s offering from the Oscar-nominated director is Don’t Worry, He Won’t Get Far on Foot. 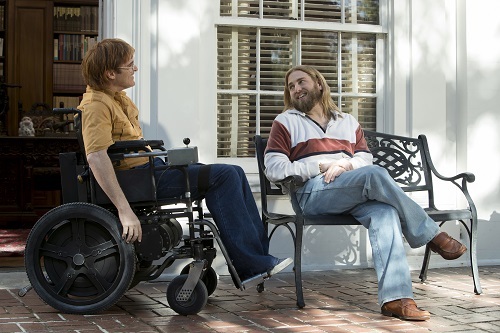 ;Don’t Worry, He Won’t Get Far on Foot stars Joaquin Phoenix (You Were Never Really Here, Irrational Man) as quadriplegic cartoonist John Callahan. The movie covers both Callahan’s hard-partying life before the automobile accident that left him in a wheelchair, as well as the sobriety that he achieved afterwards that led to his career making simple line drawings that were politically incorrect enough to offend just as many people as they amused. 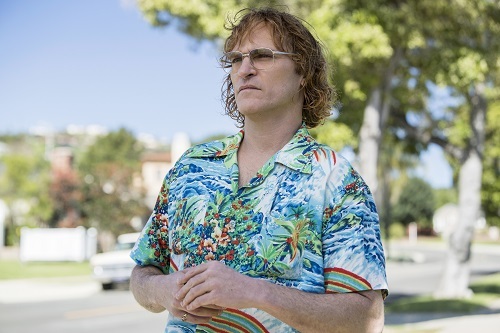 Taking its name from one of Callahan’s cartoon captions, Don’t Worry, He Won’t Get Far on Foot is a tale of two movies. The first half of Callahan’s story is depressing yet fascinating, sort of like a car wreck from which the viewer can’t look away (and, for alcoholics, it may be a bit triggering at times). The second half of the tale is more uplifting and philosophical, with Callahan attending meetings and working his steps with the help of a sobriety guru named Donnie (Jonah Hill from The Wolf of Wall Street). While it’s not all gloom and doom, it’s not a happy movie, either. It’s more of a feel-bad flick. 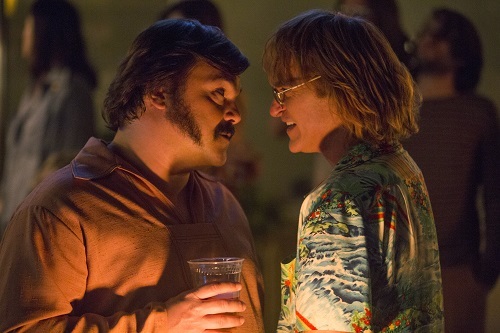 Gus Van Sant adapted his screenplay for Don’t Worry, He Won’t Get Far on Foot from John Callahan’s memoir novel of the same name. The film is Van Sant at his most Van Sant-y, powerfully subtle with just enough quirk for the audience to argue with itself over whether it’s a comedy or a drama. It’s also just a tad pretentious, not enough to alienate, but more than enough to let the viewer know that Van Sant considers it a work of high art. Van Sant also tosses in some hip familiar faces in bit roles as well; John’s Alcoholics Anonymous group includes Sonic Youth bassist Kim Gordon and intensely terrifying actor Udo Kier, and Sleater-Kinney guitarist/”Portlandia” creator Carrie Brownstein plays one of John’s social workers. And, as if any doubts still remained, the movie contains another Van Sant trademark – a terrific Danny Elfman score. Don’t Worry, He Won’t Get Far on Foot may wind up being just as divisive as Callahan’s artwork. It’s hard to pin down. It’s neither straight comedy nor hard drama. 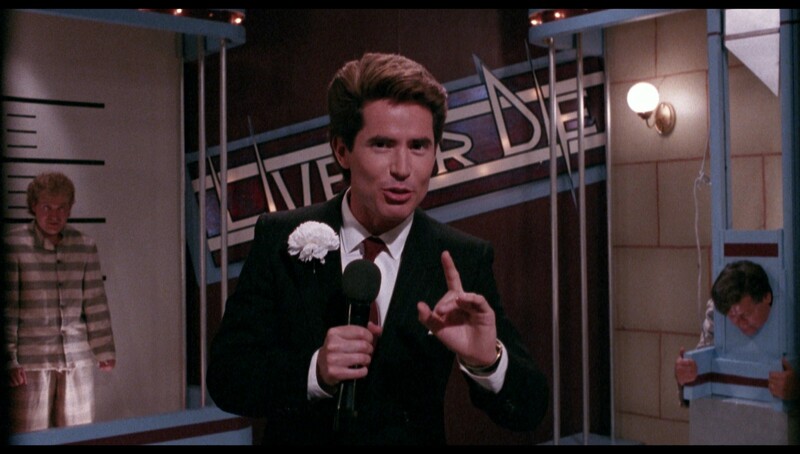 There’s not much to laugh at in the movie, but it doesn’t take itself too seriously, either. As depressing as it gets, it doesn’t leave the audience sad and withdrawn. It’s typical Gus Van Sant – love it or hate it, people will talk about it. Joaquin Phoenix is phenomenal as John Callahan, capturing both the dry humor and simmering anger that exists within the character. During the pre-accident sections of the movie, Phoenix gives the impression that he’s not acting, that he’s just out partying and having fun. Once he is in the wheelchair, he is even more convincing in his portrayal of a man who simultaneously wants to take back his life and throw in the towel. Jonah Hill provides a calm, Zen-like presence to the film, but also has a few emotional moments to show off his range as well. Jack Black (Goosebumps) also appears as the hard-partying friend who was driving the car during John’s life-changing accident, and he too gets a chance to show off his versatility, particularly during John’s ninth-step amends-making conversation with him. Rooney Mara (A Ghost Story, Lion) pops by as well, and even though her role is as the shoehorned-in love interest, she holds her own as well as she ever does. But the standout is obviously Joaquin Phoenix. As a side-player in the Casey Affleck sexual misconduct allegations, Phoenix may find himself as collateral damage come Oscar season. Hopefully he doesn’t, though, because between his performances in Don’t Worry, He Won’t Get Far on Foot and You Were Never Really Here, he deserves a statue.